ARROW — Team Arrow got a surprise in the return of Laurel Lance (the DEAD Laurel Lance), but soon learn that this is not their Laurel, but the evil Black Siren Laurel from Earth-2 that got imprisoned on The Flash last season. Prometheus broke her out to screw with Ollie and company, and they were already hurt from accidentally killing Felicity’s boyfriend, and Diggle being arrested by the military again. All this Black Siren stuff makes Ollie interested in finding another person to be the Black Canary, and that search already has a promising candidate. Oh yeah, and in the flashbacks, Ollie meets Talia al Ghul! So Ollie has met almost the whole al Ghul family. Maybe Mommy al Ghul in season six? SUPERGIRL — Kara is back from her big crossover event in another Earth to investigate a string of disappearances. That leads her and Mon-El to discover where those vanished people went: through a gateway to another planet to become alien slave labor! And helping out this interstellar human trafficking is Roulette, who clearly hasn’t learned her lesson after getting her alien fight club busted earlier this season. 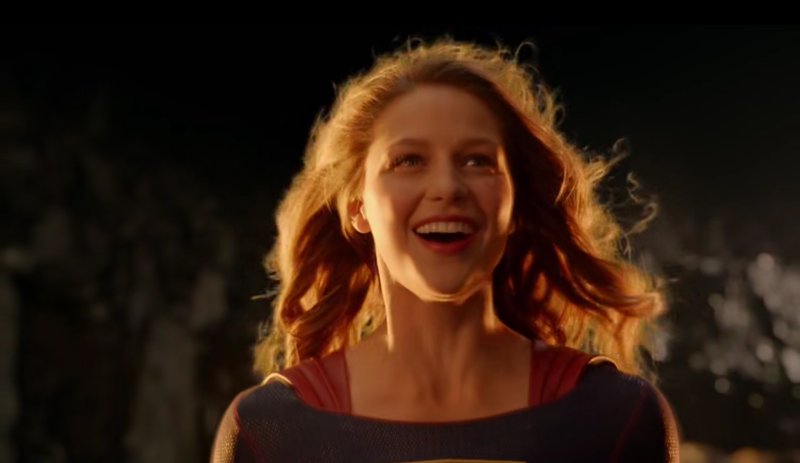 But Kara and Mon-El have trouble of their own, as the planet has a red sun, which negates their superpowers! Even with that handicap, our cute aliens get a prison break started, and with Alex and company getting the stargate (Winn said it, not me) running, they all go home to Earth. But we still have a mystery or two with Mon-El, like why that Dominator ordered he not be harmed? And who are those aliens looking for him, and how long will it be until they find him, now that they know he’s on Earth? Maybe more important than all of that, aren’t Alex and Maggie the cutest lesbian couple? Maybe Mon-El owes them gambling debts. Maybe? –Is Roulette stuck on that alien world? I mean, considering those mystery aliens started slaughtering everyone in that castle, including James Urbaniak, that doesn’t look good for her reappearing. –Maybe warn people before tossing a grenade with the flash power of the FRIGGING SUN! –Kevin Smith directed this episode! And yes, his daughter is in it too! No complaints here because, I frankly love this episode. 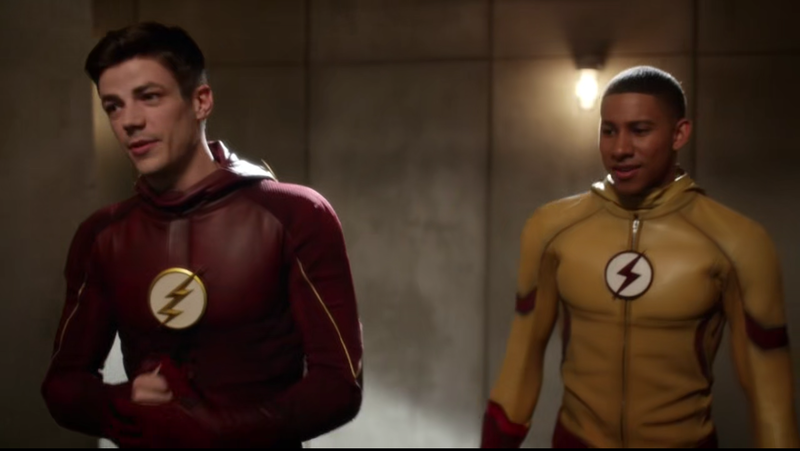 THE FLASH — Barry now has help fighting crime in Central City with Wally West, as Flash and Kid Flash, respectively. But he’s haunted by his future glimpse of Iris getting killed by Savitar, so after that gets revealed to everyone but Joe (and who wants to bet when that backfires big time? 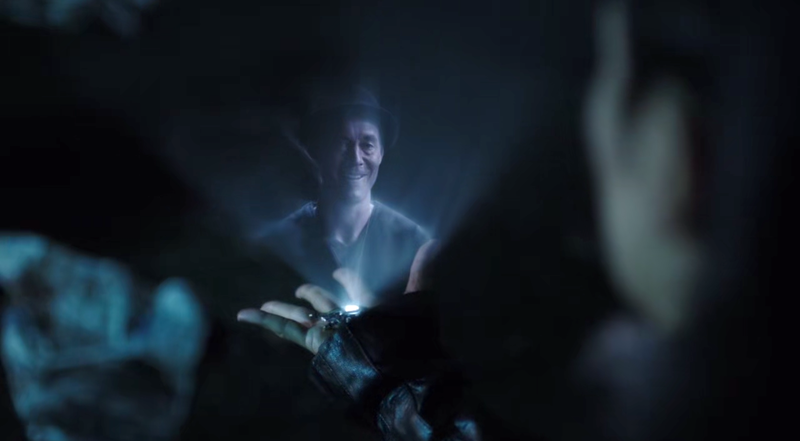 ), he enlists Cisco to vibe him into that future glimpse. The idea is if they can change the right events over the four months before Iris is supposed to die, they can change the future. And what do we find out from this glimpse? Um, H.R.’s STAR Labs Museum (that he is just opening right then) will fail, Killer Frost is at large, and Gorilla Grodd might be coming back. So, lots to do. The major thing to fix this episode is the capture of super thief Plunder, just not by Flash, as the future glimpse suggests. That’s handed off to Wally, and that is a big confidence builder for him and the city. Caitlin gets a new device to control her powers, and things seem normal for the moment. But that lady coming out of a time rift with a picture of H.R. says we got trouble coming. 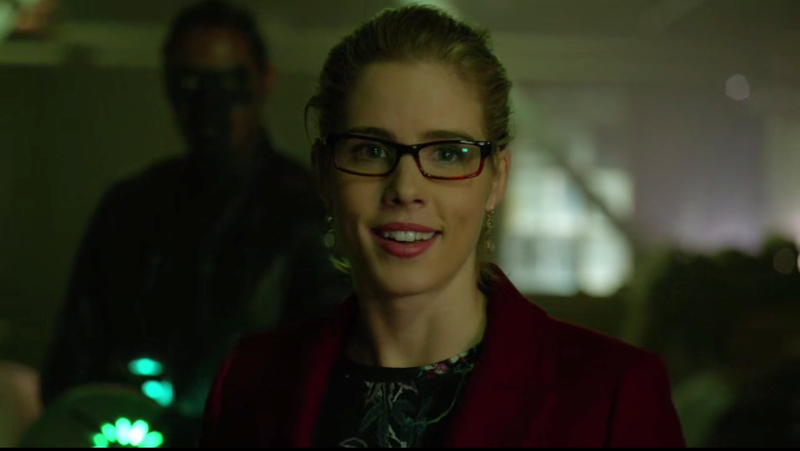 The bizarre theme in DC TV this week of people with holograms of other people they want to find. –Cisco’s hologram tour guide really likes to emphasize “SCIENCE!”. –Julian is being let into the Team Flash inner circle. Needs to work on his social skills though. –Glad someone asked up front why and how Savitar comes back. I have a bad feeling I know the answer. –Also, a reference to Music-Meister in that future glimpse, who is supposed to be the villain for a special musical episode coming up. The Legion of Scenery Chewing. LEGENDS OF TOMORROW — Look, was anyone really surprised the fates of several of our time tripping heroes was going to depend on the future career of a young George Lucas? Well, it does as the team heads back to 1967 to find their missing leader, Rip Hunter. Only, thanks to using that Spear of Longinus when the Waverider sunk to the bottom of the ocean in the season premiere, he doesn’t remember he’s Rip Hunter, but is making a student film at USC that looks like some of Rio’s adventures. 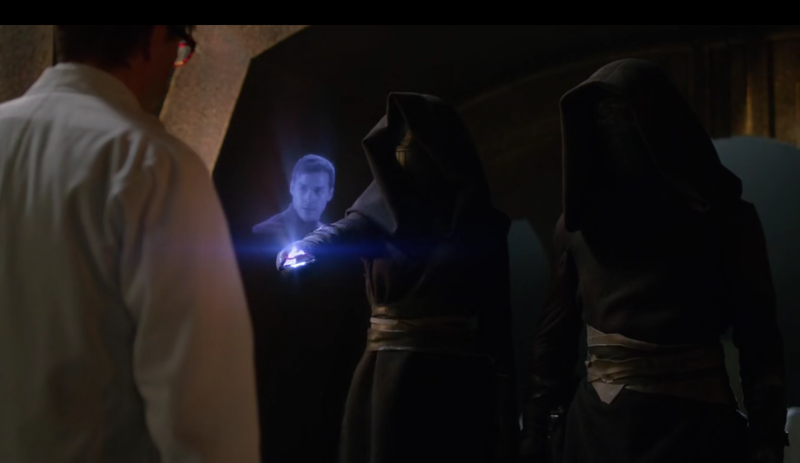 And his prop man is George Lucas. 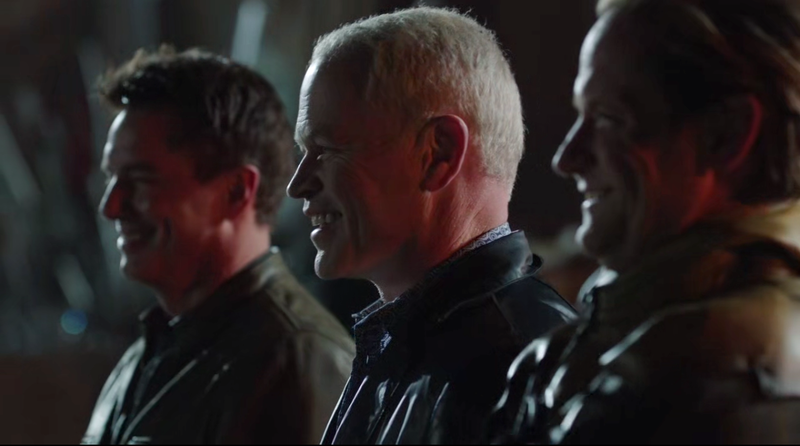 And the Legion of Doom (Reverse-Flash, Malcolm Merlyn, Damien Darhk) is looking for Rip too. They find Rip, but inadvertently steer Lucas away from a career in movies, so they gotta fix that. George gets put back on the right track (except maybe forgetting to tell him not to make any prequels) and get the Spear, but end up losing Rip to the Legion of Doom, who are gonna torture the memory gapped Hunter for information. 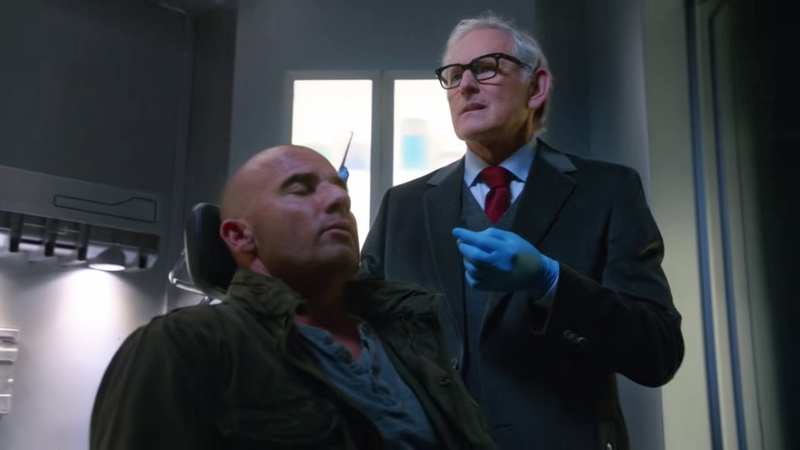 Also, Mick’s hallucinations of Snart turns out to be his subconscious screwing with him. Just fuel his hatred of feelings, why don’t ya? –Funny that while Ray marginally downgrades from his lack of Lucas influence to just a surgeon, Nate would be a yoga instructor. Ow. –Merlyn hopes to finish the big spear mission in time to check out Frank Sinatra. He doesn’t. –Nate and Ray wisely steer Maya away from watching Howard the Duck. They can’t steer Sara into calling their adversaries the Legion of Doom, though.